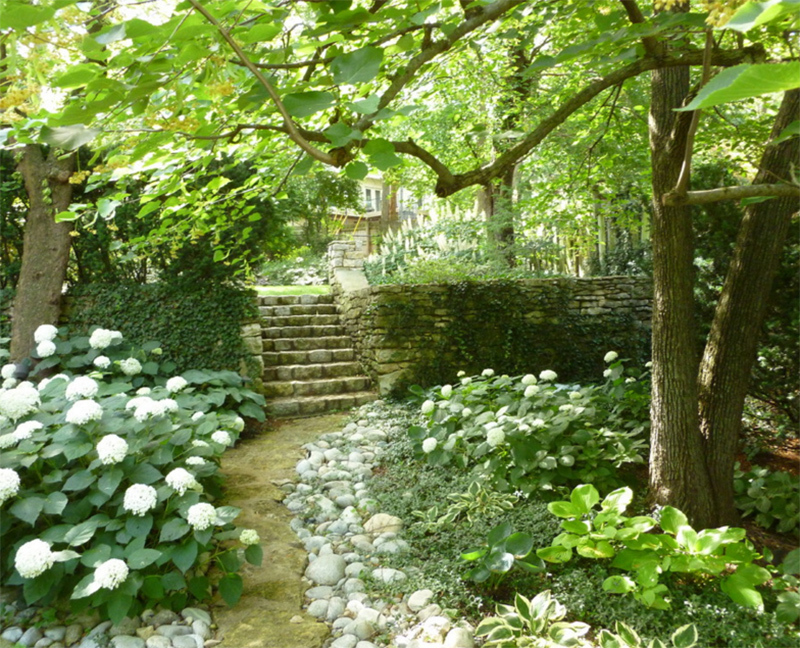 Stone pathways is one element that is usually seen in a garden which serves an important function. 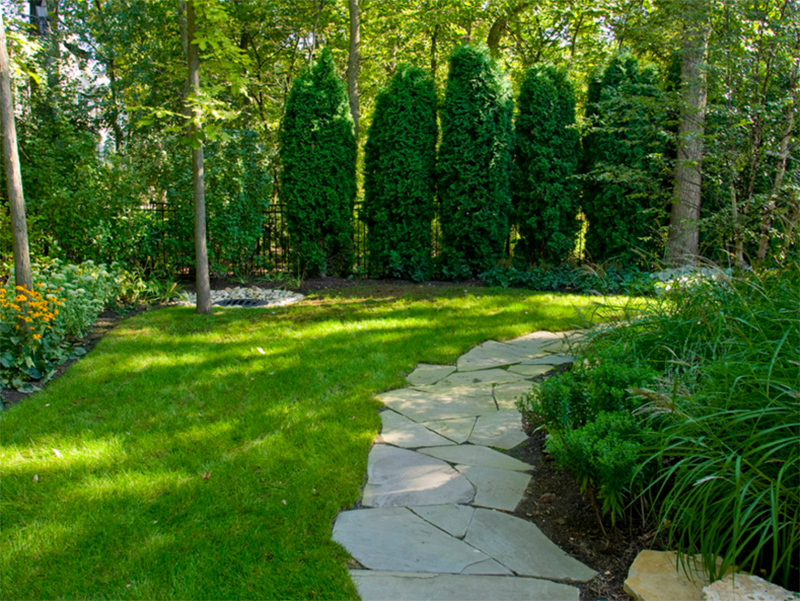 Aside from the architecture of the house and the interior, we should also be concerned about giving the garden a beautiful appeal through landscaping. There are different approaches to do this on the landscape depending on style and the motif of the space. Whatever kind of landscape you want, the same elements still make them up to create a beautiful garden from plants, to stones, to garden structures. 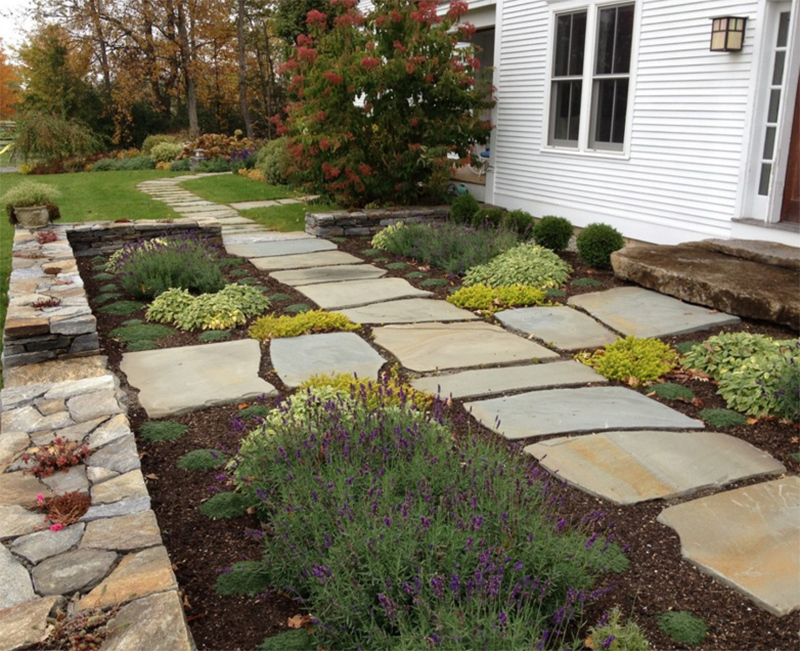 One element that we can see in a garden is stone pathways landscaping. Aside from the aesthetics, it also serves an important function by leading the path towards seating areas or structures in the garden. 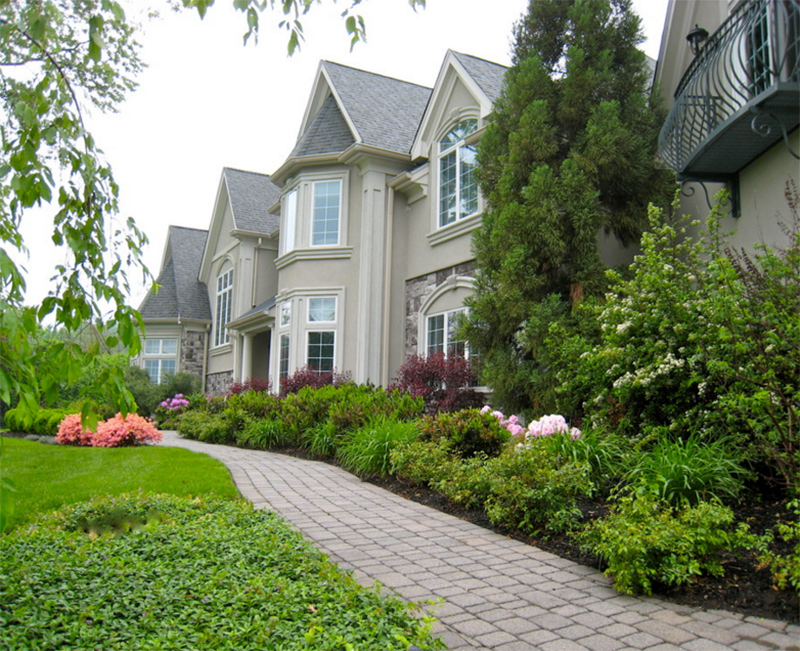 It could also lead to the entrance of the house as well without the need to step on plants that surround the home. 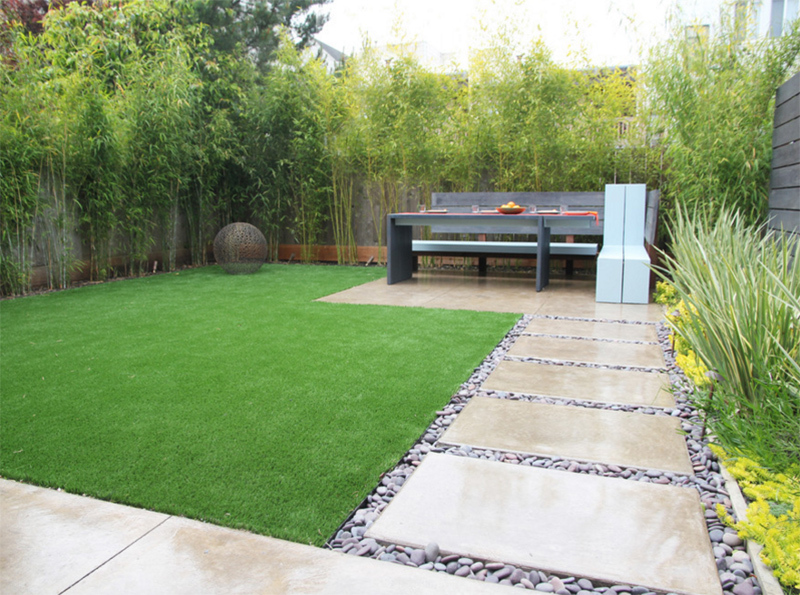 Stone pathways are used since old times but these are still being used even for modern or contemporary spaces. Today, we have collated images of gardens that made use of stone pathways with varying concepts from traditional to contemporary ones. 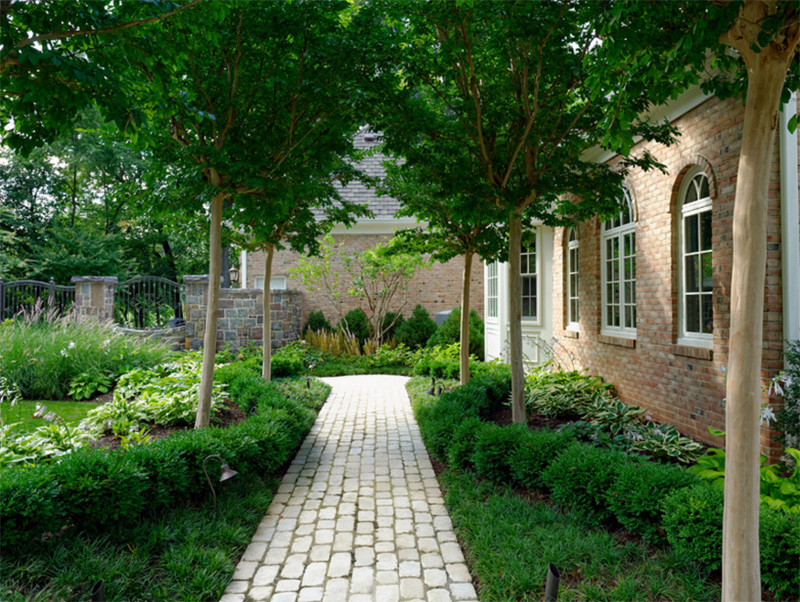 In this pathway, beautiful blooms frame the cobblestone path that leads to the front door creating a lovely path that makes the home appear very welcoming. The scene looks very relaxing with all the green plants, shrubs and trees in the area. There is also a balance between soft textures and hard ones since stones are used here. This is a creative way of making the pathway giving it a contemporary look. 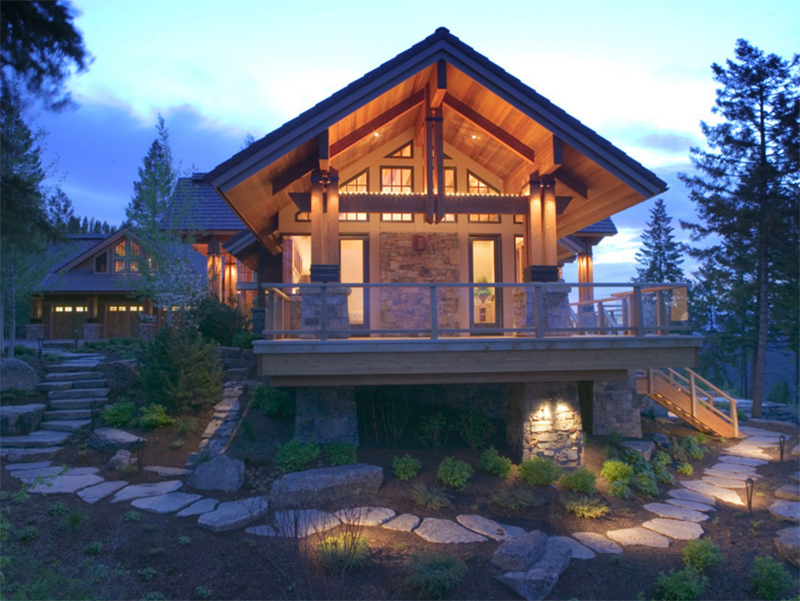 It also matches well with the surrounding landscape. 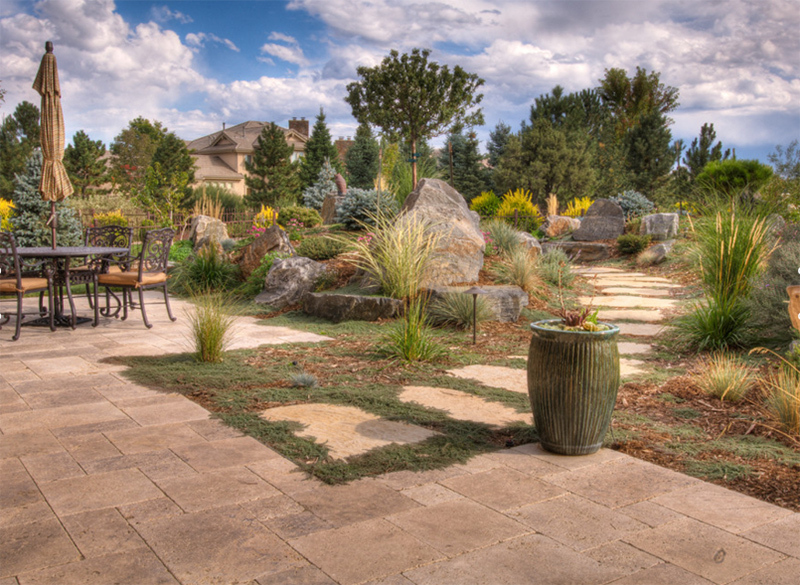 Gravel in Basalt stone covers the ground around the pentagon shaped stone pathway in this industrial landscape. Lovely, isn’t it? 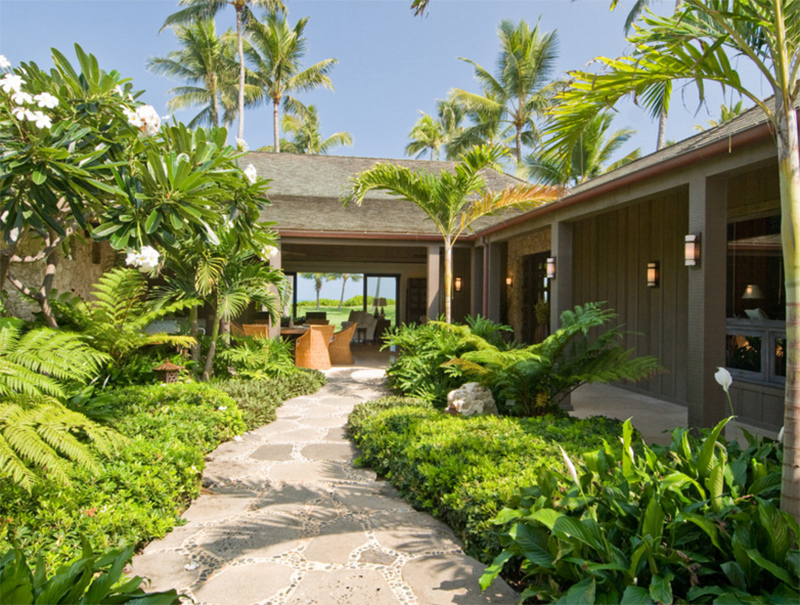 The best way to bring a tropical feel to a home is adding stone pathways in it like this one surrounded with trees, bushes and other plants. You’d feel like walking in paradise with this one. Stones are seen everywhere in the outdoor area of the house. But I can tell that it would look even more beautiful if there were better looking plants or if the green grass coverings have already spread. This one looks a bit whimsical because of the tiny flowers around the stone pathway. I like the way the green plants peep through the cracks of the stones defining it. 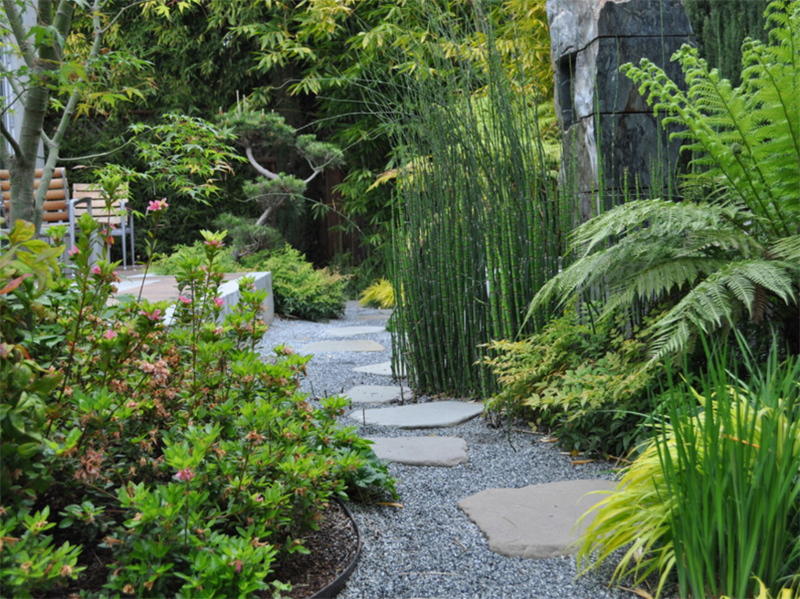 This garden has a formidable pallet of Asian style plant species along with traditional bamboo construction. 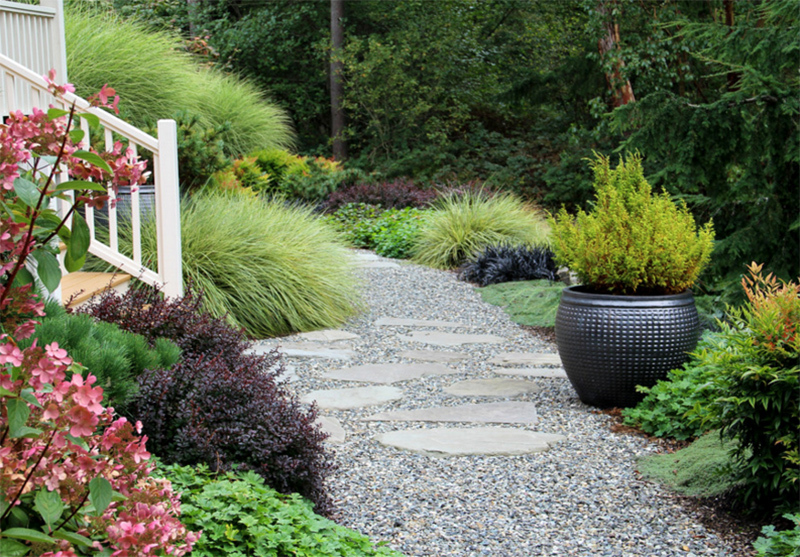 Aside from that, there are meandering stone and gravel pathways too that add to its beauty. 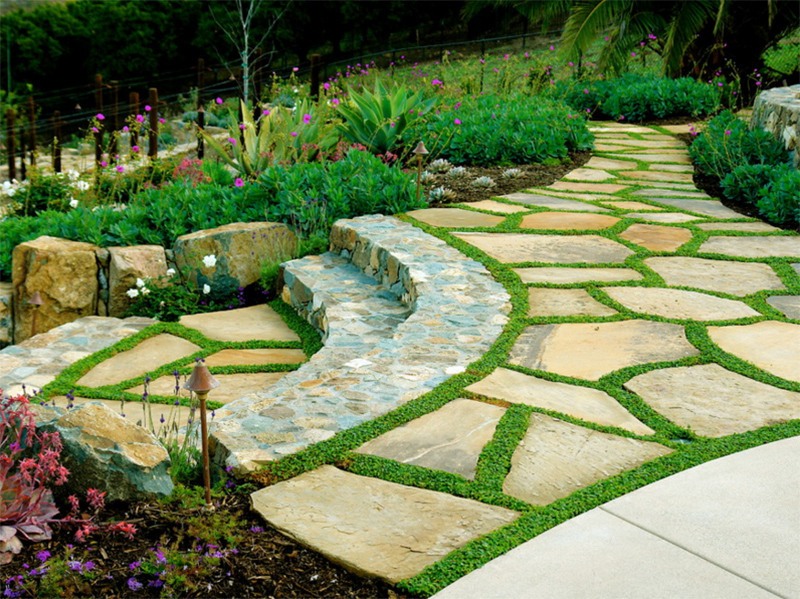 Another good idea to create a stone landscape is by scattering the stone path in this manner. 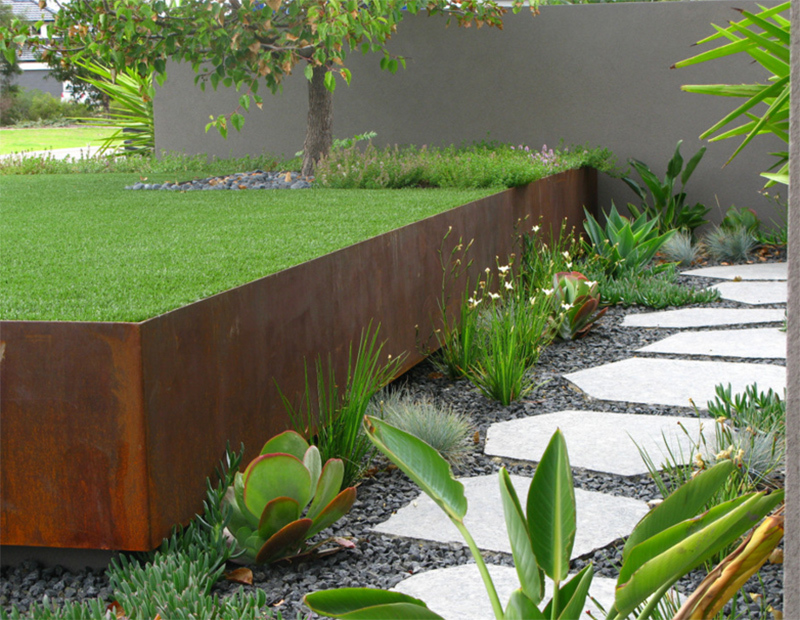 With this, you are not making an irregular pathway that is equally beautiful as the ones that are sleek. 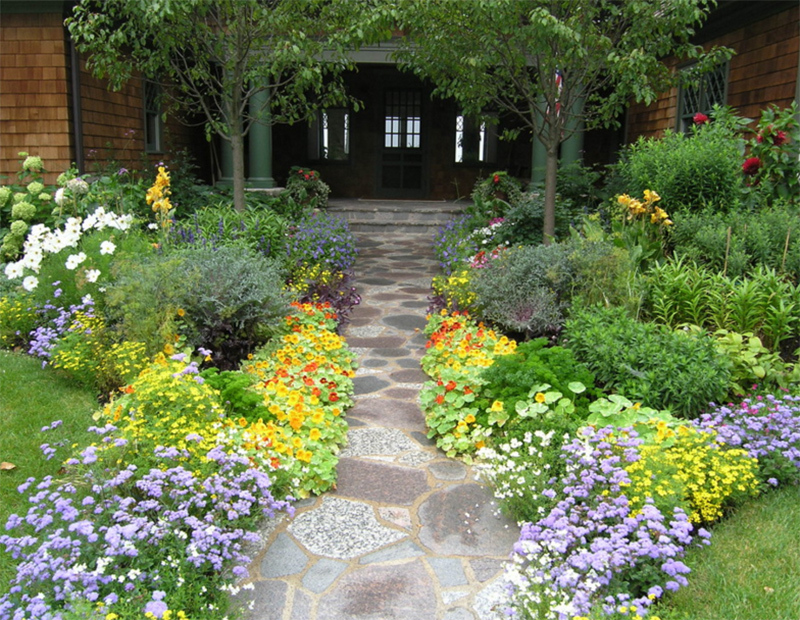 One way to make your front yard garden fun and functional is to add edibles into the mix! And of course, there has to be a beautiful stone pathway in the middle that separates that flowers and leads the way to the main entrance. Looking at this one, I feel like I am in a garden where Prince Charming will come to visit me. Such a whimsical place indeed! 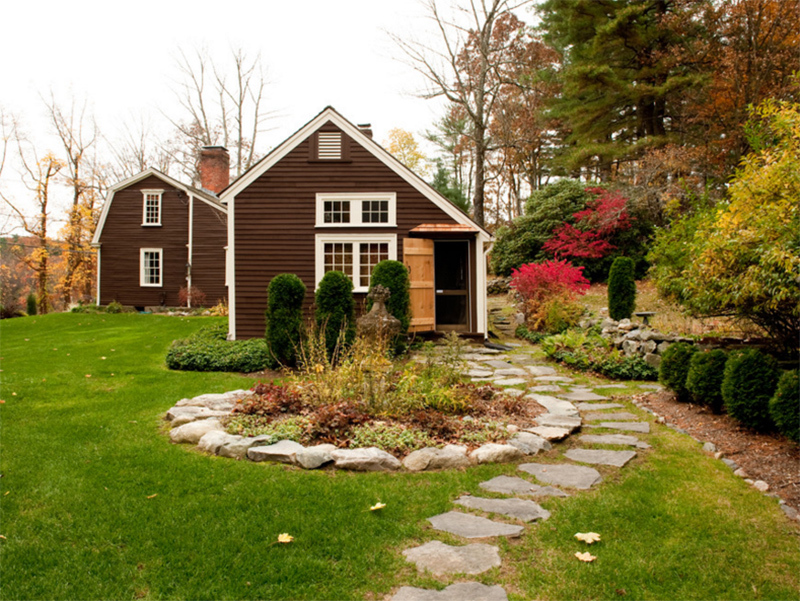 A traditional landscape with a beautiful design as trees and shrubs surround it. Notice how stone made this area look even more gorgeous. It would be nice to walk through that stone covered area. It has a subtle whimsical feel that anyone would love. That is a cute cottage isn’t it? And the stones cover the green lawn too that lead to the house. Very beautiful indeed! 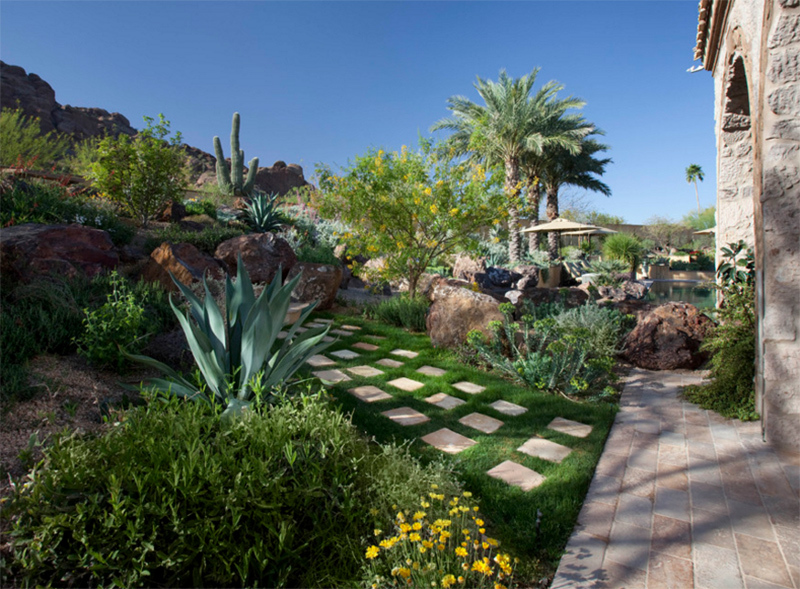 A spacious garden has a beautiful landscape featuring different depths and heights and a variety of plants. You can see that it used a stone pathway to connect the spaces. 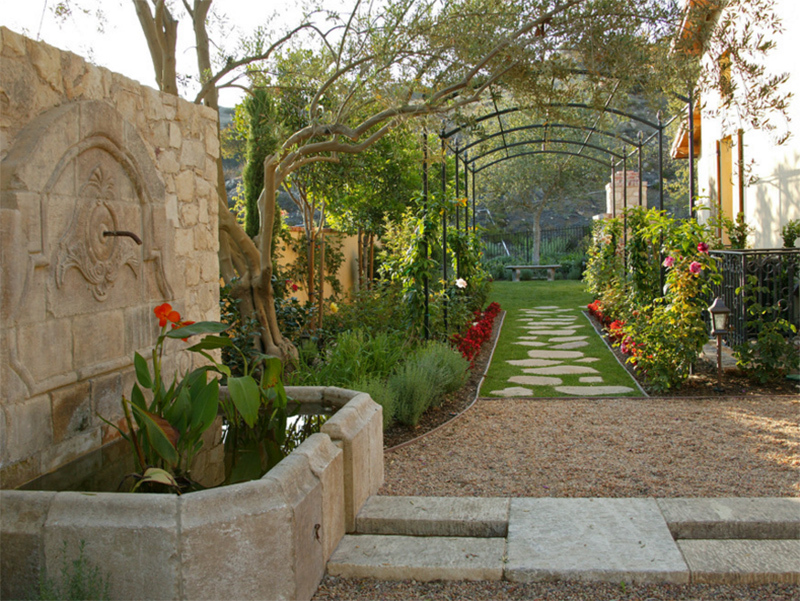 A Mediterranean garden with various types of plants has a stone pathway wherein the spaces are being filled with gravel. It looks nice with the irregular shapes of the stones. I know that what you can see here is the lovely house with dramatic lights but take note of the pathway too that surrounds the house leading to the stone steps. It is a good idea to add lights on the paths too. 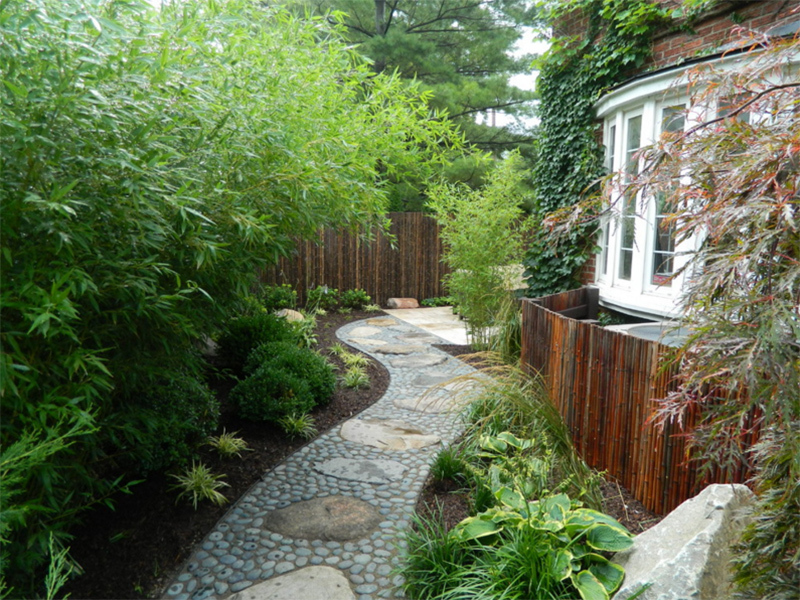 Another Asian-inspired garden with a stone pathway. You can see that different kinds of stones were used to make the path and they also come in different sizes too. 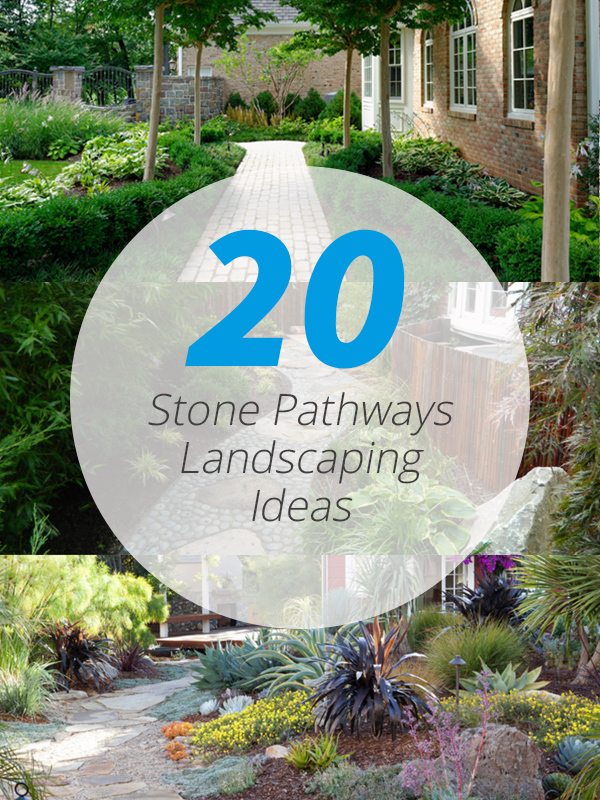 A modern garden can also have a stone pathway too like this one. Instead of irregular stones paths, this one used square ones with gravel around it. 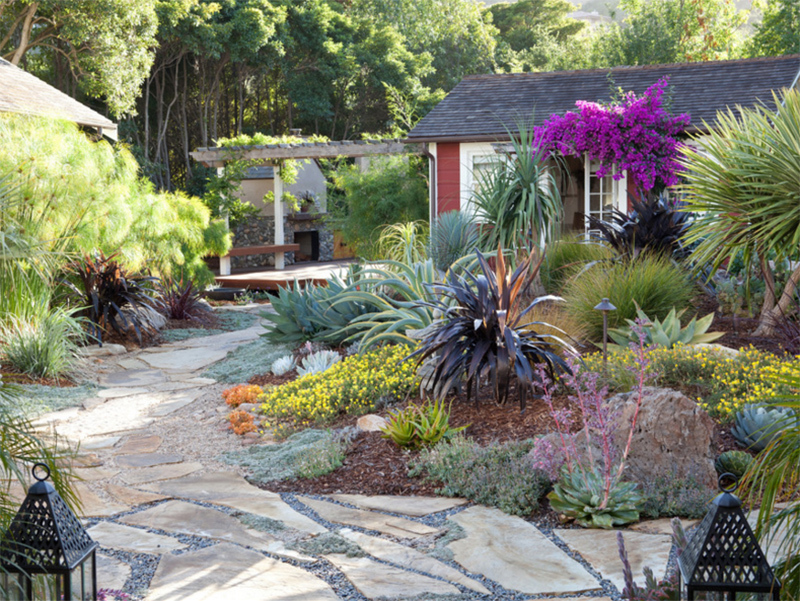 A traditional garden has a combination of stones and plants everywhere and it looks really nice with the stone pavers and pathways. You can also see that it has a seating area too with a large umbrella to cover it from rain or sunlight. Using stone pathways had been a trend even during old times. 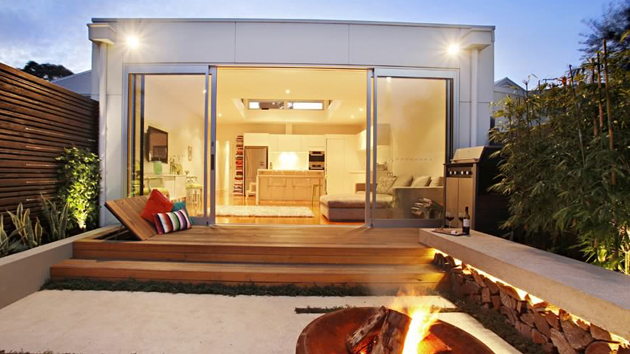 It is a good way to create a connection between the outdoor area and the home. It can also create a path that links gardens all around the house leading the guests to a pavilion, a gazebo or even merely a seating area. Stones are still used up to this day because it is something that never gets old through time. Nothing beats natural materials indeed! 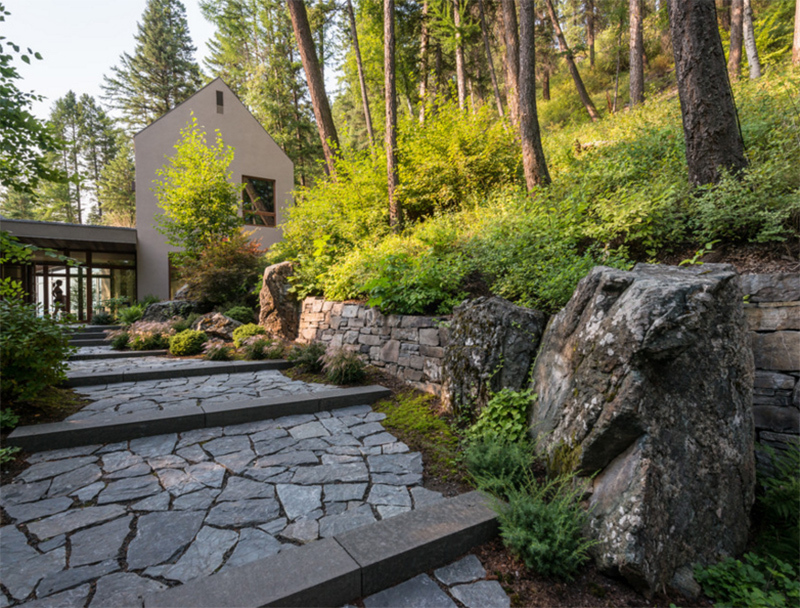 Have you seen actual homes that use stones as pathways? Or even in commercial spaces and parks? If you did, I am sure you will be able to appreciate its beauty.